Becoming interesting isn’t just about learning how to become a good conversationalist. You need stories to tell. And the way you communicate those stories on the Internet is through content. Personal branding online is not about you, it’s about your content. I realized it early in my career. In every job and at every stage of my life, I had unique content that gave me an edge and propelled me ahead of the pack, from the scaffolds of Manhattan to the c-suites of Madison Avenue. You need to offer your network or your company something of value to differentiate yourself. That’s your extra – a unique value you bring to wherever you go. How do you become someone worth talking to, or even better, worth talking about? You tell stories through native content. Whoever you are and whatever you do, your number one job is to build your credibility on the Internet through native content and social connections. I call it the three C’s of bootstrap marketing. Boosting your online visibility might seem like a daunting proposition. Shouting out your personal story over the mass noise online appears to be virtually impossible in this hyper competitive cyber age. What if you are an introvert? English is not your first language? Not feeling comfortable in front of the camera? Are you shy? Have no idea where to start? Read on. The Internet and social media have democratized marketing on the Internet. Every individual is now a media company so you need to act like one. The number one rule to build influence on any social platform is to like like a user. I learned it the hard way. For example, I had my account suspended on Inbound.org for sharing content from my blog. Embarrassing. I love the content on my blog though. I spend a lot of time making sure that what I put out is great. I share it everywhere. I also got in trouble on Reddit. It’s okay. That’s how we learn. 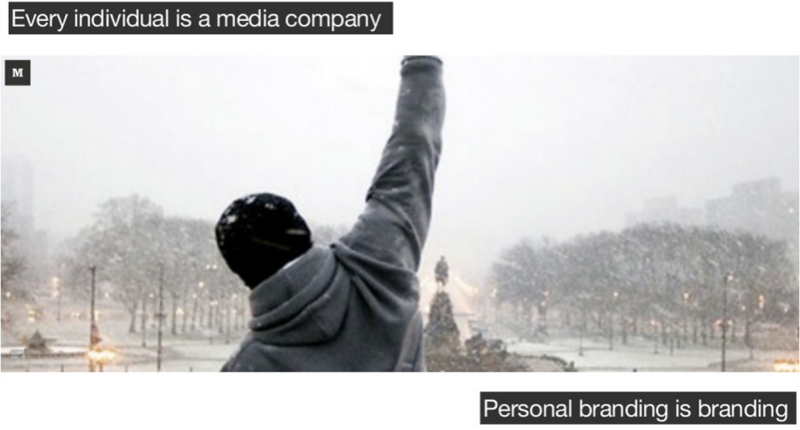 Since every individual is a media company your personal brand is your brand. How you project your image dictates how people receive your brand, not the other way around. I am no personal branding guru, but here are couple personal branding hacks that increased my online visibility. 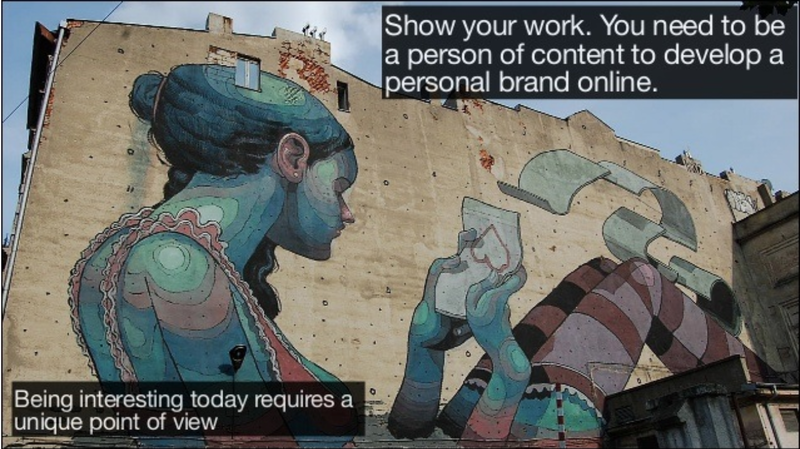 Brand yourself by creating a visually-appealing story on SlideShare. Serve up eye-catching imagery, creative copy and an intriguing presentation to captivate your audience. Doing things and telling people about you inspires visitors to know, like and trust your personal brand. Tell stories that only you can tell. Brand advocates come to bat for the person who shares their authentic story through creative channels, such as SlideShare. Stories will always be popular if the story teller entertains, educates and inspires. Above all, SlideShare is a great medium for all the introverts out there – or immigrants, whose first language is not English (like myself.) Play with images and words, experiment, have fun. No excuses. On a side note, if you are struggling to get the confidence in public speaking or you are terrified speaking in front of a camera or a large audience, read this on Medium. If I can become a keynote speaker, everyone can. Here is how I told my story on SlideShare. Share your story on Medium. Provide an in depth account of your unique experiences and how your brand developed. 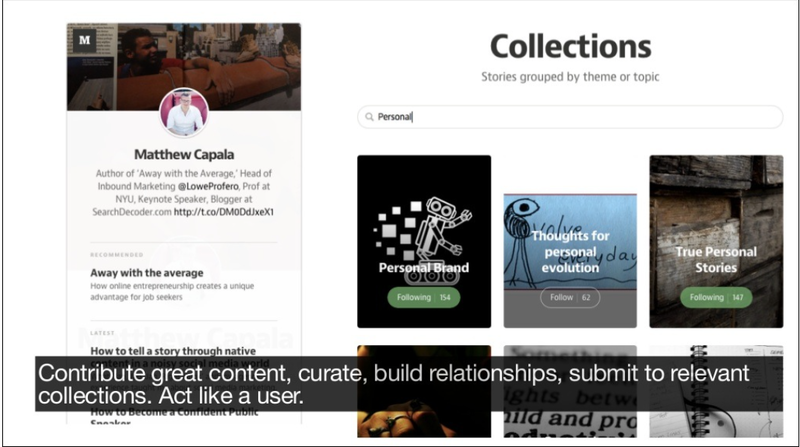 Good, authentic and relevant content gets shared freely on Medium – a social community of writers who like to share stories and collaborate to get feedback. As you develop your name on Medium through great content, you can direct readers to sign up for your newsletter by including clear and direct calls to action within each piece of content you create. Make sure your first post is a hit – take time with it. 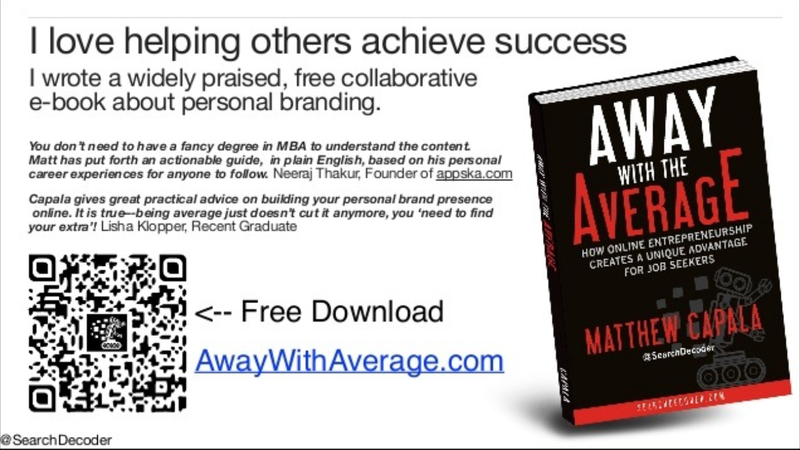 I published the Away with Average e-book as my first post on Medium, which I thought was a great way to introduce a concept of a ‘live book’ that is collaborative, social and constantly evolving. Don’t forget to cross-promote your content! Post links and images directed to your relevant content on other platforms. Cross-promoting your content reaches out into new user bases with minimal effort, but you need to have a lot of content out there to there to be able to stay consistently relevant, which is key. When I have an idea, I would write it down, test it with a SlideShare deck, if it performs, I would write a blog post about it. Or the other way around. In fact, this post is inspired by one of my decks on SlideShare that trended on its homepage for many days in the row. If you don’t know how to consistently generate awesome ideas, check out James Altucher’s advice on how to become an idea machine. I often get asked what would I have done differently if I could go back when I just started building things on the Internet. My answer is always the same: I wish I had started collecting leads before I built anything. 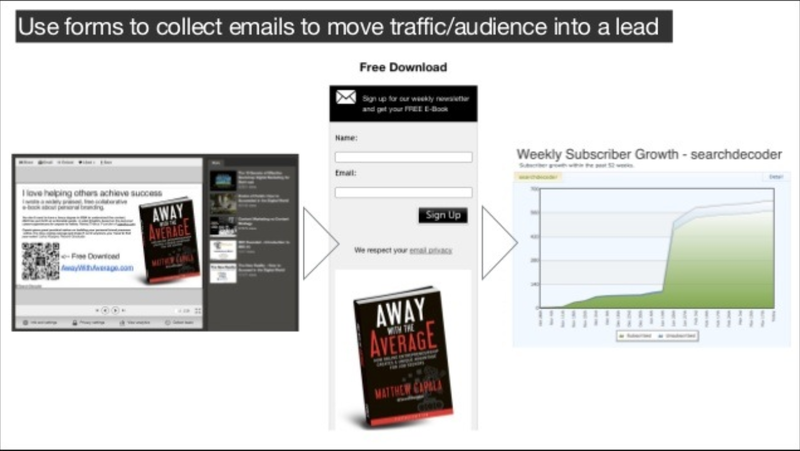 Build your email list by using tools like Aweber. The Do It Yourself email marketing resource helps you manage your campaigns with little fuss or muss. Pick pro-style templates in minutes and insert html widgets with template codes across your media properties to expand your online presence. Jazz up your newsletter and expand your digital footprint by including social plug ins, images and clear cut calls to action in email newsletters. Guys who manage Moz Top 10 do this very well – learn from them. Draws subscribers deeper into your brand story. Improves your “know, like and trust” factor. Increasing engagement through email may feel like a Herculean task but if you send out helpful newsletters, link up frequently and ask penetrating questions you will get ahead, get more traffic, followers, and engagement. A strong list is the foundation of building your personal brand. The most effective way to build your list and engagement is to offer something of value to your audience for free. Take the time to write a how-to e-book, which is the best way to not only increase your email subscription, but also to build your credibility on the Internet. Not sure where to start? Blog it. Then, ask readers for feedback, collect testimonials and cross-promote across the web. According to Nina Amir, the author of How to Blog a Book, the benefits of blogging a book are that you can write, publish and promote your book all at the same time. Authorpreneurs promote themselves and their book prior to it being published so they create a built in readership for the book. As they blog—write—the book, they create platform, which means they create a higher likelihood of creating a successful book. Blogging provides your readers with a one stop shopping portal through which they can become intimate with you (i.e. your brand). Newbie or beginner bloggers should read How to Become a Rockstar Blogger and Monetize your Passion for a guide on how to build your brand through this platform. Establishing a recognizable personal brand requires you to tell your story, and a blog is the best medium for it. Share a good mix of thought leadership and personal experiences to make your content authentic and credible. Invite others to do interviews. Build a self-hosted WordPress blog to own your digital real estate. Use engaging social media WordPress Plugins to optimize your blog effectively. Build on the land you own. Guest blogging grows your following and establishes your credibility. If you just built a blog and get no traffic, start guest-blogging. If you are new to guest blogging and need to know where to start, Brian Honigman gives couple good tips here. On a separate note, guest blogging is NOT dead – it’s thriving. Google is doing the right thing weeding out low-quality content farms who have gained unfair advantage gaming the system. The playing field is more level now, get in the game. The state of SEO has never been better for individuals to succeed online. Make sure to set up Google+ Authorship, both for your own blog and the blogs you are contributing to. Here is how to set up Authorship in five minutes or less. On the Internet, similarly as in life, intensity beats extensity. Pick only couple places to write for that are as relevant and authoritative as possible. Do not fall into a trap of trying to put up your name all over the web by submitting guest posts at scale pursuing a myth of link diversity or anchor texting. Those days are over. 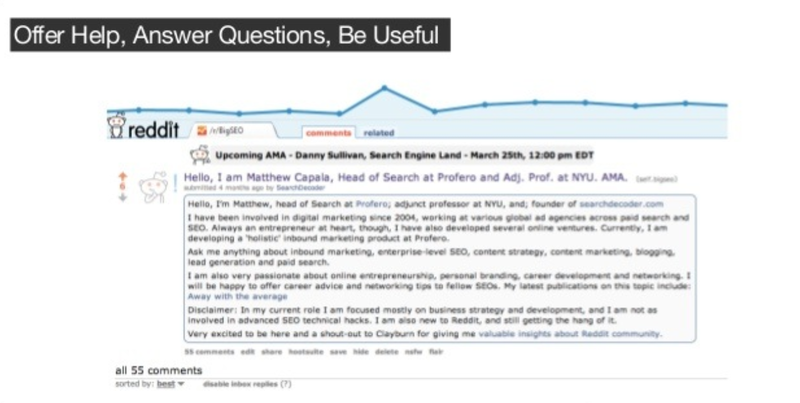 Get on sites like Reddit and Quora to answer questions, offer your expertise and establish your authority. The high ranking bookmarking sites are a beehive of activity for niche personal brand builders. Reddit users are a sophisticated, discerning audience, so you need to come across absolutely authentic. Do not promote anything but your expertise. One note: many Reddit users have a critical approach to scouring over information. You must have a thick skin to work this channel. Remember: unclear or jaundiced individuals will project their perception on you. Do not take their opinions personally. Respond to any questions or feedback in a positive fashion. I have learned from experience that there is no point in arguing on the Internet. When you put yourself out in the public, you will get attacked occasionally. Here is a good advice from James Altucher on how to deal with haters on the Internet. Remember our main goal of acting like a user? Join Triberr, and other community websites for bloggers, to expand your online presence. The blogging tribe can help you increase your digital footprint, build relationships with authority entrepreneurs and increase your social network reach. Set up your RSS feed to automatically update your Triberr stream each time you publish a new post. Join relevant tribes. Engage individuals to form strong connections with tribe mates and post comments in response to new blog posts. You need to give to receive, so share your fellow member’s content to expand their presence. Participate to expand your brand awareness. Chatting daily can also help you stand out from the crowd. Boosting your visibility online takes supreme effort, intelligent planning and dogged persistence. 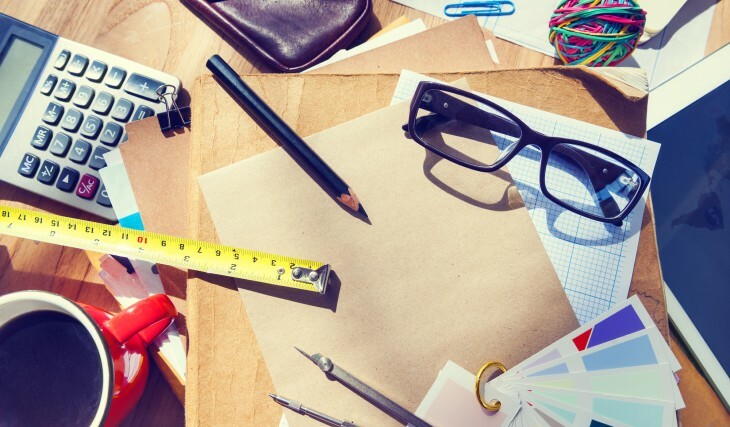 Use each one of these hacks to build your personal brand and improve your online presence. Often the reason someone buys from you is not for your product, but for YOU. I hope you found something useful on the list. If you have any other input, let’s discuss in the comments below.